Positive Change through Policy - This guide features examples of policies that schools, localities, and states across the United States have implemented to create safer communities. Neighborhood Watch Needs YOU - This publication discusses reasons to get involved, the kinds of activities Watch groups do, and how they can help a neighborhood strengthen hometown and homeland security activities. Tools and Resources To Help You Start or Maintain a Neighborhood Watch Program - Tips and information on starting and running a Neighborhood Watch program. Crime Prevention Through Environmental Design (CPTED) - CPTED theories contend that law enforcement officers, architects, city planners, landscape and interior designers, and resident volunteers can create a climate of safety in a community right from the start. Starting a Neighborhood Watch - Free, helpful resource on starting a Neighborhood Watch program. Neighborhood Checkup Survey - A short survey to analyze the safety of your neighborhood. 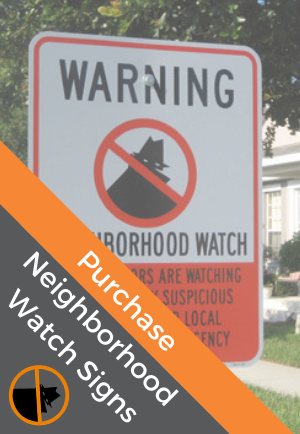 Neighborhood Watch Organizer’s Guide - Works as a guide for creating and sustaining a successful Neighborhood Watch program, and covers everything from motivating the community to running successful neighborhood watch. Full list of home and neighborhood safety resources available here.